I’m sitting on the outdoor terrace at Rotterdam The Hague Airport, soon to be bound for London. Despite the noise of the thunderous jet engines it’s strangely peaceful. I’ve also just departed the city centre a little prematurely as one of the biggest match in Rotterdam’s history has just ended in a 3-0 defeat. The reason for my Dutch trip – the bi-annual Circusstad festival – made the right choice to break down the site early this year. Not a peaceful day in Rotterdam. Circus and soccer make for a heady combination. This is my second time at Circusstad, still under the inspired direction of the much-respected Maaike Muis. 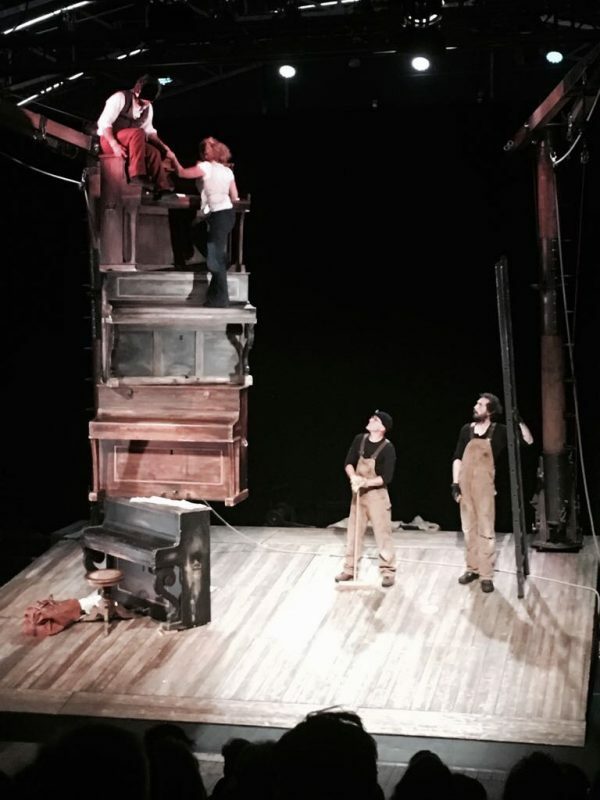 Two years ago it was modest, vibrant and well-curated, and featured our own associate artists Silver Lining, but this year has seen it take a turn with more ambition, participation and home-grown work. 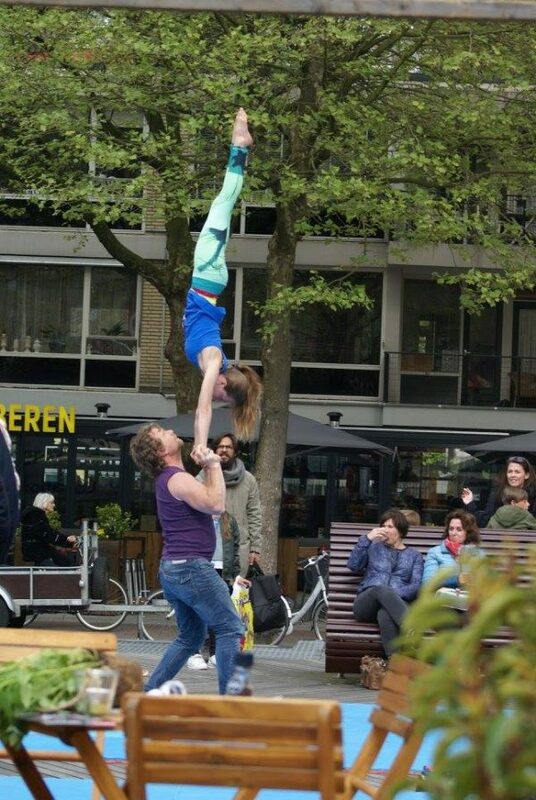 It’s been a great four days in which to immerse myself in the Dutch and Flemish circus community. 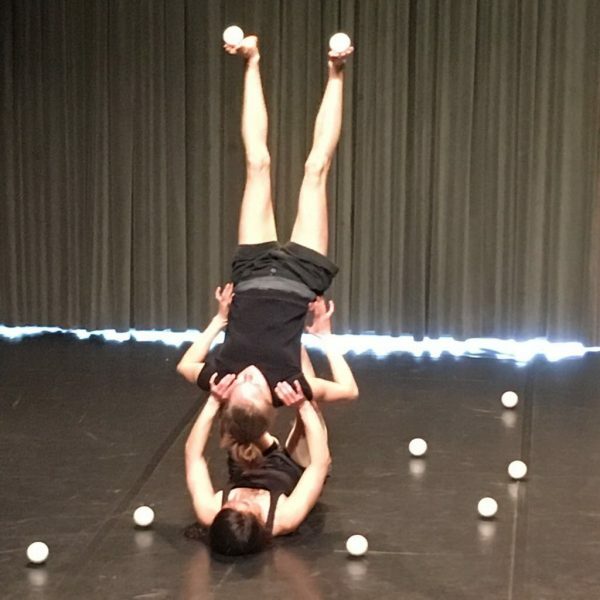 Rather than list and review every show (I saw nine indoor works plus six outdoor shows – find the programme on the Circusstad website and Google show names for critiques) I feel I want to examine what has made this year’s festival so bountiful. 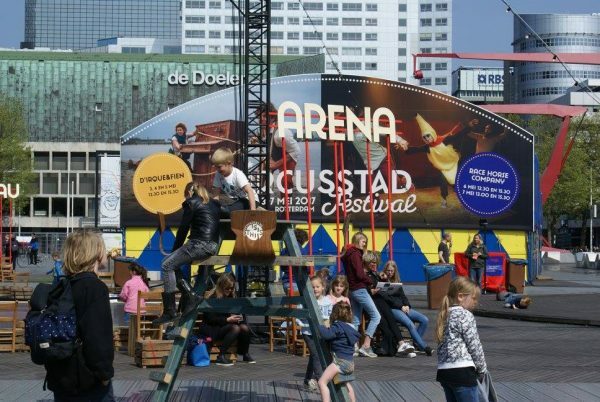 It still has not really made its way on to the international festival map – this will come in time, more so when it goes annual next year – but this also gives Circusstad the opportunity to grow and develop at its own pace. So yes, there were some familiar names and faces – Sol Bémol by the acclaimed D’irque & Fien, our friends Race Horse Company with Around – but rather than seeing it as a trade fair for programmers, more like what we did last month at Canvas in London, or say Subcase in Stockholm, Circusstad 2017 gave the opportunity for me to fully immerse myself in watching educators, workshops, new street circus ideas, graduates, budding teenage artists – a chance to observe, reflect, join in. It very much has the Rotterdam community at its heart as well as providing a vibrant professional platform for the public and industry. You feel the people of the city have a real sense of ownership, and so much of the performance and workshops are free. Brilliant. It’s all neatly programmed in, on, above and around the centrally located compact hub – that is Schouwburgplein, a mass of modernist construction, big tops, trusses, tents and bungees. Imagine Glastonbury squeezed into a cool European market square with pop-up bars, global cafes, imposing jagged multi-coloured structures and a thousand or so people. It feels that good. And you can walk to any event within literally sixty seconds. So at 10am I am watching a feast of 70s funky diablo-dad-dancing for under-5s in PopPopPop, then immediately after that having my senses assaulted by the fear-busting teeterboard artists of Acrobatique Moroccan, before marvelling at four axe-wielding neanderthals destroying several tons of timber, themselves and nearly the audience on stage for an hour in La Cosa. It’s literally non-stop. It’s also, conversely, a much more relaxed festival than many others I have attended. There’s plentiful gaps for coffee and catch-ups, the artists all hanging out in the square and mingling with the public. There’s also a real aesthetic to Circusstad which I can’t quite put my finger on – unique but not exclusive, dynamic without dumbing down. A real lack of ego, and so much more about sharing experiences. Every artist I met spoke of how well they had been looked after, and how they wished to return. And so will I, next year. Can’t wait.